We are the supplier of the Diabetes Medicines. The major goal in treating diabetes is to minimize any elevation of blood sugar (glucose) without causing abnormally low levels of blood sugar. Type 1 diabetes istreated with insulin, exercise, and a diabetic diet. Type 2 diabetes is treated first with weight reduction, a diabetic diet, and exercise. 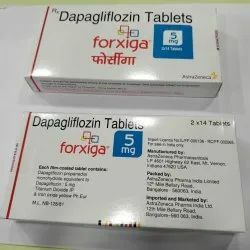 Forxiga (Dapagliflozin) Forxiga is a tablet medication which helps to reduce blood glucose levels by helping the kidneys to remove glucose from the blood and excrete it within urine. 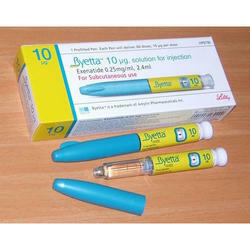 BYETTA helps lower your blood sugar, especially after meals. Insulin glargine provides a slow, steady release of insulin and helps manage your blood sugar between meals and overnight. 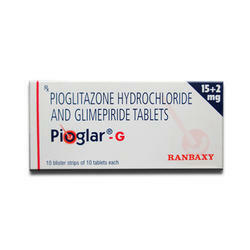 Pioglitazone is a diabetes drug used along with a proper diet and exercise program to control high blood sugar in patients with type 2 diabetes. It works by helping to restore your body's proper response to insulin, thereby lowering your blood sugar. 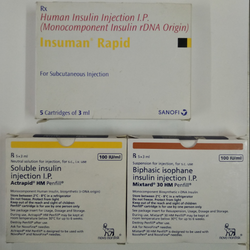 Insulin detemir is a long-acting insulin that starts to work several hours after injection and keeps working evenly for 24 hours. 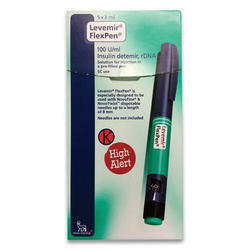 Levemir is used to improve blood sugar control in adults and children with diabetes mellitus. 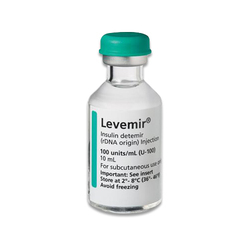 Levemir is used to treat type 2 diabetes in adults. 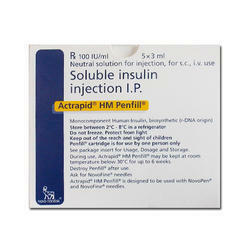 Actrapid Hm Penfill is a medicine that is used for the treatment of High Blood Sugar In Diabetes Mellitus Patients and other conditions.Actrapid Hm Penfill contains Insulin Regular as an active ingredient.Actrapid Hm Penfill works by maintaining appropriate glucose levels. 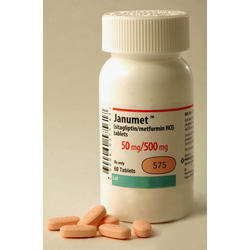 Janumet contains a combination of metformin and sitagliptin. Metformin and sitagliptin are oral diabetes medicines that help control blood sugar levels. Metformin works by decreasing glucose (sugar) production in the liver and decreasing absorption of glucose by the intestines. Sitagliptin works by regulating the levels of insulin your body produces after eating. Novorapid Flex Insulin Pen is a naturally occurring hormone made by the pancreas that helps our body use or stores the glucose(sugar) it gets from food. For people with diabetes, either the pancreas does not make enough insulin to meet the body's requirements or the body cannot properly use the insulin that is made. Lantus (insulin glargine) is a man-made, long-acting form of human insulin that is used in the treatment of adults and children with type 1 diabetes to control blood glucose (sugar) levels. 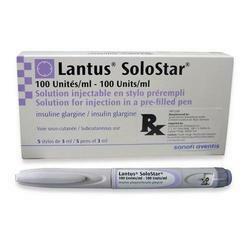 Lantus is also approved for the use in adults with type 2 diabetes. 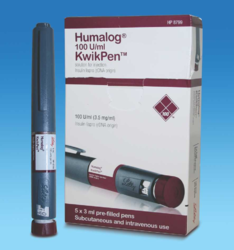 Humalog (insulin lispro injection) is a rapid-acting human insulin analog used to lower blood glucose. Insulin lispro is produced by recombinant DNA technology utilizing a non-pathogenic laboratory strain of Escherichia coli. 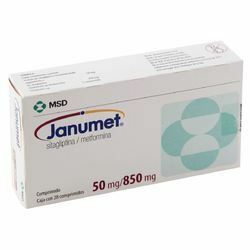 JANUMET is an oral prescription medicine that, along with diet and exercise, helps lower blood sugar in adults with type 2 diabetes. Saroglitazar is used in the treatment of Diabetic Dyslipidemia and hypertriglyceridemia with type 2 Diabetes Mellitus. 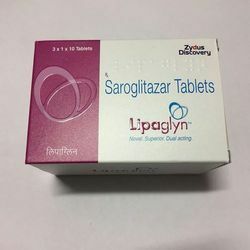 Being a dual PPAR Agonist, Saroglitazar (Lipaglyn) helps in controlling Blood Glucose and Lipid Parameters especially high triglycerides and high non-HDL-Cholesterol. Lipaglyn effectively reduces Triglycerides and non-HDL-C and controlled high Blood Sugar, a typical situation in Insulin resistance condition. 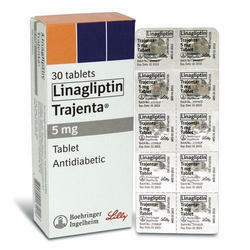 Tradjenta (linagliptin) is an oral diabetes medicine that helps control blood sugar levels. It works by regulating the levels of insulin your body produces after eating.Tradjenta is used together with diet and exercise to treat type 2 diabetes. Tradjenta is not for treating type 1 diabetes. Victoza (liraglutide) is similar to a hormone that occurs naturally in the body and helps control blood sugar, insulin levels, and digestion. Victoza is used together with diet and exercise to treat type 2 diabetes. 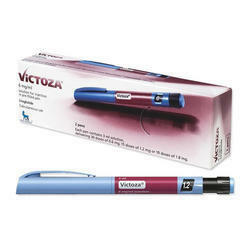 Victoza is usually given after other diabetes medicines have been tried without success. 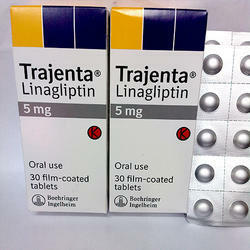 Tradjenta (linagliptin) is an oral diabetes medicine that helps control blood sugar levels. It works by regulating the levels of insulin your body produces after eating. Tradjenta is used together with diet and exercise to treat type 2 diabetes. Tradjenta is not for treating type 1 diabetes. It is used along with diet and exercise. It may be used alone or with other antidiabetic medicines. Anti-diabetic used in diabetes treat diabetes mellitus by lowering the glucose level in the blood. With the exceptions of insulin, exenatide, liraglutide, and pramlintide, all are administered orally and are thus also called oral hypoglycemic agents or oral antihyperglycemic agents. 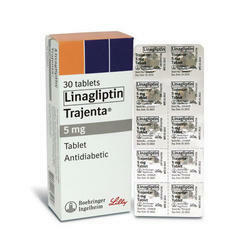 Tradjenta (linagliptin) is an oral diabetes medicine that helps control blood sugar levels. It works by regulating the levels of insulin your body produces after eating. Tradjenta is used together with diet and exercise to treat type 2 diabetes. Tradjenta is not for treating type 1 diabetes.